Most of the veterans I follow on Twitter are pointing to this WaPo story on DOD’s failure to eliminate commissaries on bases as an example of the worst of DOD bureaucracy. Three summers ago, Richard V. Spencer, a retired investment banker who serves on a Pentagon advisory board, proposed shutting down the commissary at Camp Lejeune and every other domestic military base, a step that would save taxpayers about $1 billion a year. He called several large retailers to see if they would be willing to take over the markets. None were, but Wal-Mart, which has stores within 10 miles of most U.S. bases, proposed offering equivalent discounts to troops, their spouses and their retired brethren. He figured other national chains would follow suit. When the Defense Department bureaucracy that runs the commissaries learned of Spencer’s plan, it sounded an alarm among allies in industry and in Congress. A trade group whose mission is to represent companies that sell goods in military stores fired off a letter to Defense Secretary Robert M. Gates, warning him it would be “ill-advised” to make major changes. Senators and representatives dispatched similar missives. So did veterans groups. As the correspondence stacked up in his inbox, Gates summoned Spencer and other members of the Defense Business Board. “Richard, my fax machine is vomiting letters of complaint,” Spencer recalled Gates telling him. Worried that congressional anger would doom other Pentagon cost-cutting initiatives, Gates told Spencer to drop his commissary plan. Maybe it is, but there are several things not being discussed. First, the article points out that the commissary benefit is worth $4,400 a year to every military family. Most of those families are getting paid pretty low wages for a job that can kill you — $28,000 for a Corporal or Specialist with 4 years of experience. Is it any wonder that some in the military are defending this benefit? Then there’s the shock that retired investment banker Richard Spencer (who probably hasn’t had to live on $28,000 a year for a very very long time, if ever) had when he discovered the commissary’s books can’t be audited. What little that arrived stunned him. The agency’s antiquated financial systems, he learned, are not compliant with the federal government’s accounting standards. That is a problem. But you know what? I’m far, far more concerned that NSA’s antiquated financial systems are also not compliant with the federal government’s accounting standards (apparently neither are a number of other intelligence community components), and not just because the dollars involved are far larger. I don’t have to worry about unaccounted Cheerios on a commissary shelf starting a new war or reading my email via some off the books program that evades Congressional scrutiny because its budget does. Then there’s the assessment that retired investment banker Richard Spencer made that DOD isn’t very good at running supermarkets. Its workforce was bloated compared with other retailers. Spencer also discovered that the agency’s annual subsidy did not include other hidden costs. Commissaries don’t have to pay rent. Security services, when needed, are provided by military police. He’s comparing commissaries, of course, with WalMart. Which has been getting a lot of press this year for its difficulties stocking shelves, in part because it has cut staff so thin that there aren’t enough people to get all the merchandise onto shelves. Maybe, when consumers have the leverage to make demands, they prefer shopping in place with better service than WalMart? Maybe that, like better healthcare, is one of the reasons people will risk their life to join the military? But here’s the funniest part of this story. The Administration is, as we speak, making a sustained argument that commissary employees are “sensitive” employees. It argued–really!–that because a commissary Assistant Manager knew how much Gatorade and sunglasses commissary customers were buying (potentially reflecting knowledge of upcoming deployments)–he should lose all Merit Board protection as a sensitive employee. Now I, of course, thinks that’s a load of horse dung. Nevertheless, it is the horse dung the Executive is peddling. And so long as it is peddling that horse dung, it seems incumbent upon the Executive to keep this nice perk around. It may be that the billion we’d save by shutting down commissaries would be a net savings once you adjust for the higher wages you’d have to pay lower-ranking service members in exchange. It may be the commissaries are hopelessly unwieldy. But I’m very skeptical that this perk — and not the much bigger ticket waste — is the first thing that should be cut to save money. Bangladeshi Garment Fire: Downstream Effect of a WalMart Economy? One of the things hot on the nets yesterday was Peter Suderman’s pushback against the anti-WalMart action that has been progressing over the last week, culminating in organized protests at numerous stores across the country on Black Friday. Even Alan Grayson got in on the WalMart Thanksgiving protest mix. So the benefits of Walmart’s substantially lower prices to the lowest earning cohort are huge, especially on food. 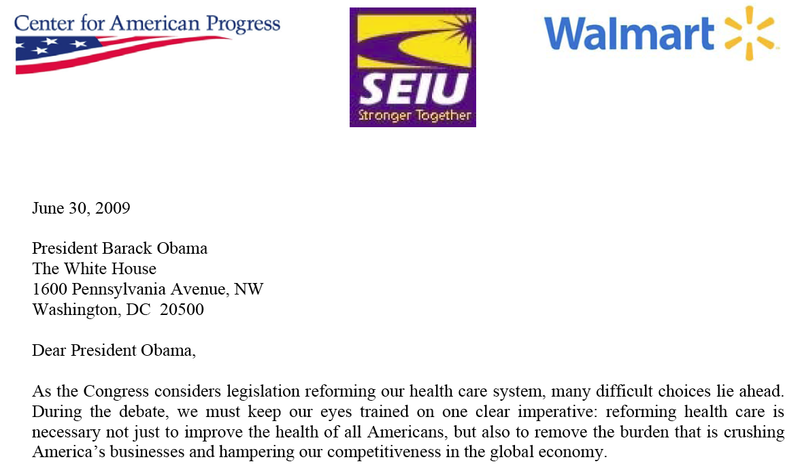 Obama adviser Jason Furman has estimated the welfare boost of Walmart’s low food prices alone is about $50b a year. 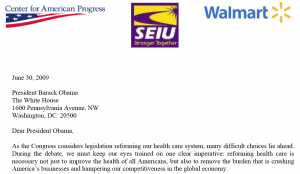 Paying Walmart’s workers more would mean the money has to come from somewhere. But where? Raise prices to pay for increased wages and you cut into the store’s huge low-price benefits for the poor. It’s regressive. Suderman goes on to note that WalMart workers are effectively within the norm for their business sector as to pay and benefits. My purpose here is not to get into a who is right and who is wrong, the protesters or Suderman, I actually think there is relative merit to both sides and will leave resolution of that discussion for others. But Wal-Mart’s effect on its own employees pales in comparison to its effect on its supply chain’s workers, and its competitors’ workers. As Barry Lynn argued in his Harper’s essay “Breaking the Chain,” and as Charles Fishman demonstrated in his book “The Wal-Mart Effect,” the often unacknowledged consequence of Wal-Mart is that it has reshaped a huge swath of the American, and perhaps even the global, economy. https://www.emptywheel.net/wp-content/uploads/2016/07/Logo-Web.png 0 0 bmaz https://www.emptywheel.net/wp-content/uploads/2016/07/Logo-Web.png bmaz2012-11-25 06:01:042012-11-25 06:44:26Bangladeshi Garment Fire: Downstream Effect of a WalMart Economy?